This isn't easy for me to talk about - I'm afraid there's no way to go about it without opening a can of worms for some, but I feel compelled to speak out in the hope that spreading awareness on this topic might just save someone's life. My greatest fear is (touch wood) of myself or my loved ones falling prey to terminal illness. It's not so much mortality I fear: what keeps me up at night is the thought of a life cut short by a cruel twist of fate; having hopes for a future slowly and painfully fade ever further from me even as I'm wracked with suffering by the ravages of an illness with no cure in sight, leaving only a legacy of anguish and suffering in my friends and family. I'm very fortunate to have the best of both worlds when it comes to medical attention - I spend half my time in the UK, which has the best public healthcare system in the world, and the rest of the time I have access to the best private healthcare money can buy back in Malaysia. Even so, there are malaises that no amount of money in the world can help you with simply because there are some things that just can't be bought. Or maybe they can, but time isn't on one's side. In this instance I'm talking about blood cancer - the life-saving cure for which is stem cell donations. I'm collaborating with Anthony Nolan on their latest campaign to raise awareness among young people, especially men aged 16-30, to 'Give A Spit' about blood cancer. 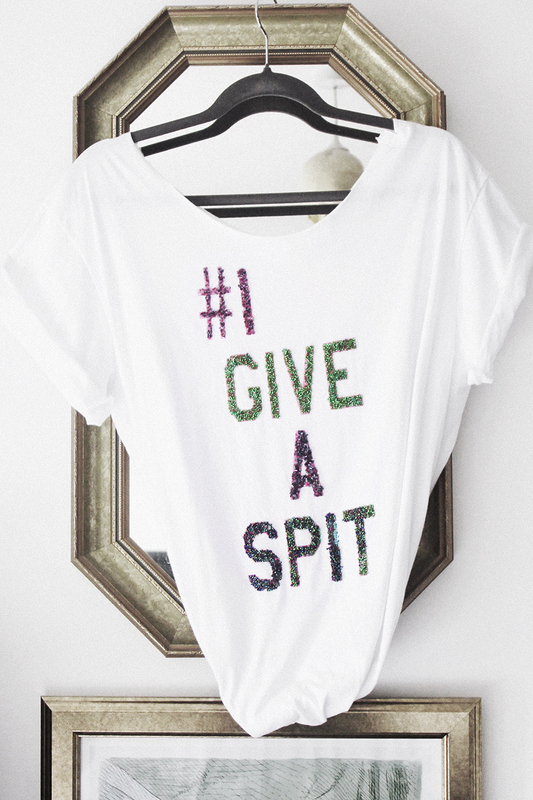 Ashish has designed a tee for Anthony Nolan with their slogan #IGiveASpit which I was asked to customise. 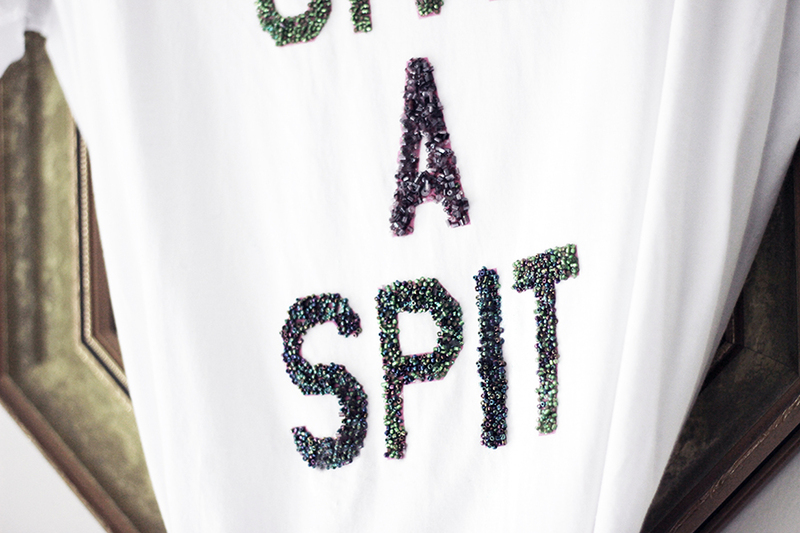 When I think of Ashish, their embellished slogan tees especially 'Holy Chic' immediately came to mind so it was only fitting that I decorated mine with beads for an iridescent, striking statement that more than catches the light, but also catches the eye. If you are a man and aged between 16-30, I urge you to Give A Spit about blood cancer - it's free, it's fast, it's easy and you could potentially save someone's life. That someone could be young or old, a complete stranger or even someone you know and love - either way, it's good karma, and so much more than that; it's the gift of hope and a fighting second chance at life. So far, I've already convinced my partner Henry and his friend Thomas (who is also a paramedic) to give a spit about blood cancer - Henry's already ordered his 'spit kit'- this is one instance that I'll allow him to spit in my presence. Only for a good cause!